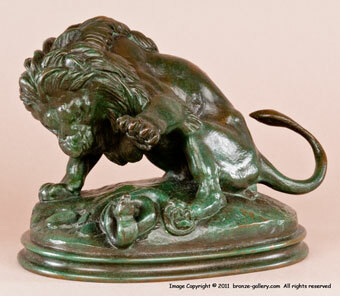 One of Barye's most famous subjects was the Lion and Serpent, and he sculpted several variations of it. From the critics' comments "The Lion roars and the Serpent hisses..." and it is considered one of Barye's best compositions. This model was first created in 1833 and is titled Lion au Serpent No 3 (esquisse). It is a "sketch" model showing the Lion raising his paw to hit the snake, unlike the other versions where the Lion has his paw on the snake's body. This small model was very popular and was cast for many years in the mid to late 19th century. 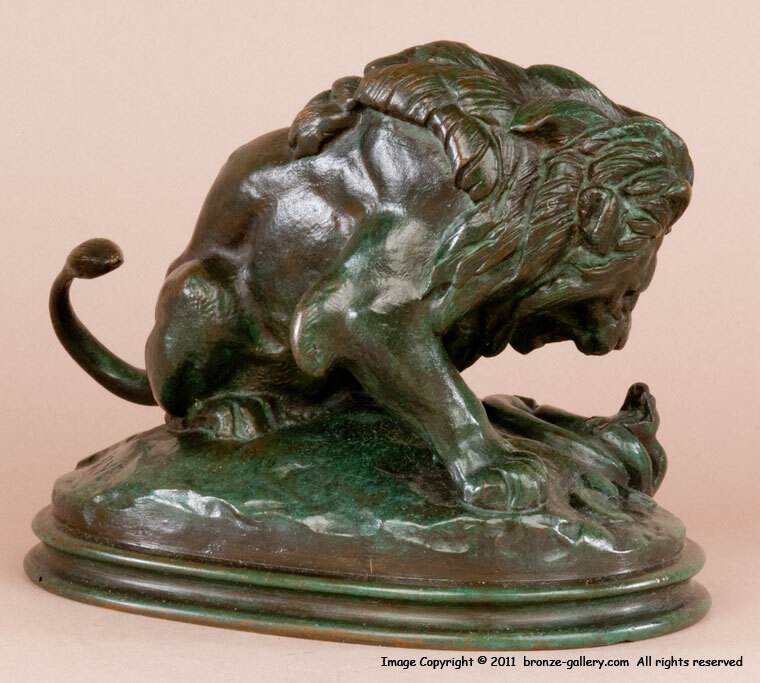 Our bronze offered shows good detail and has a superb dark green, brown, and black patina which is typical of Barye's best bronzes. A handsome small model of a powerful subject.